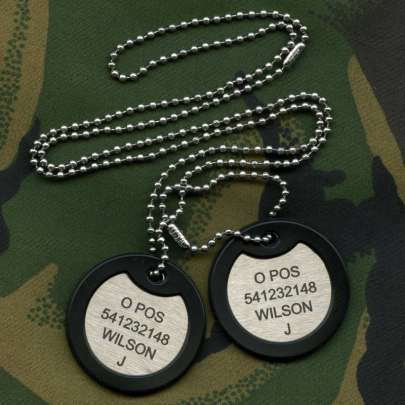 Choose your own personalised set of military dog tags. 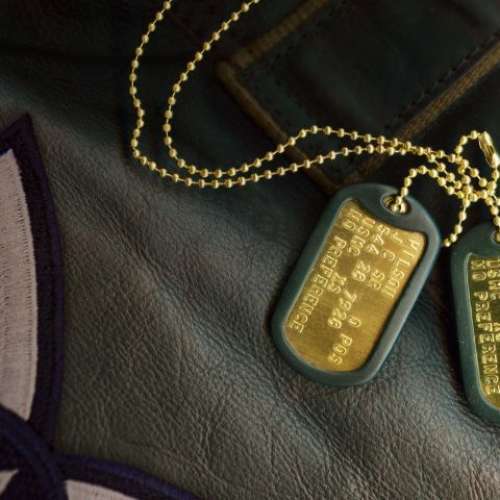 With in house embossing and engraving facilities, we're the number 1 choice for military style dog tags outside of the USA. 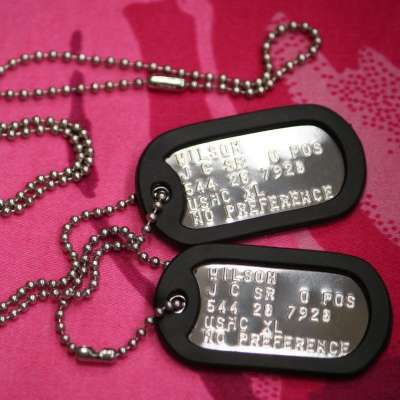 Using our dog tag builder page you can add your own personalised text which we will emboss on the tags. 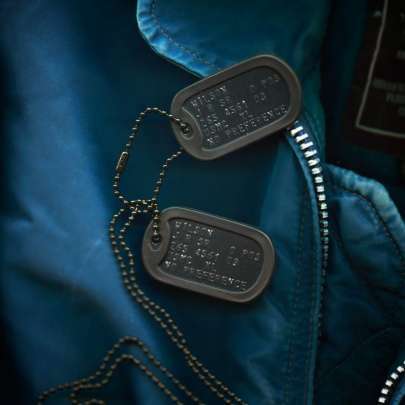 Alternatively browse our tag catalogue to get some inspiration. 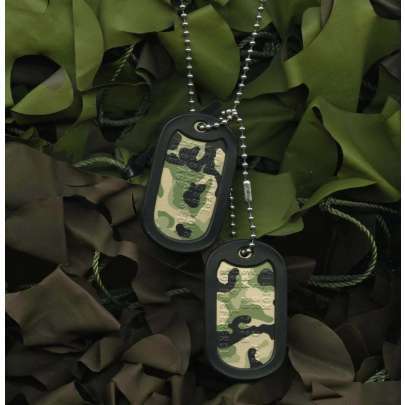 Use our Tag Builder page to design, preview and order a set of tags from our Graphotype™ range. 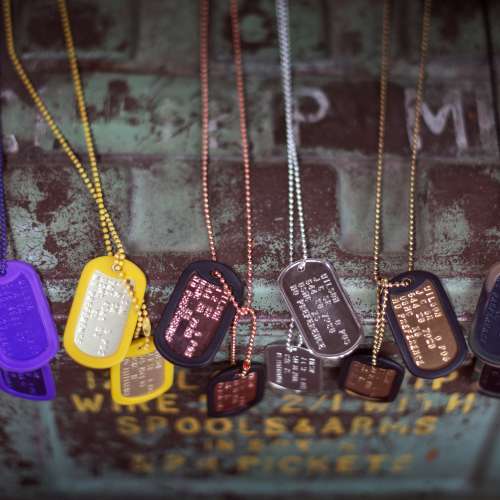 Mix and match from a wide range of different tags, silencers and chains to choose a set that's unique to you. 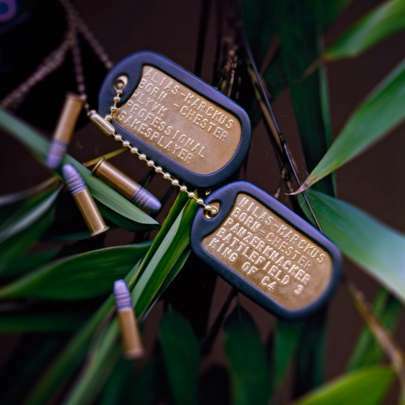 All of our embossed tags are produced using the latest GSA (US Government approved) high speed electric embossing machines and all of our supplies are of the highest quality and sourced exclusively from US Government approved vendors. 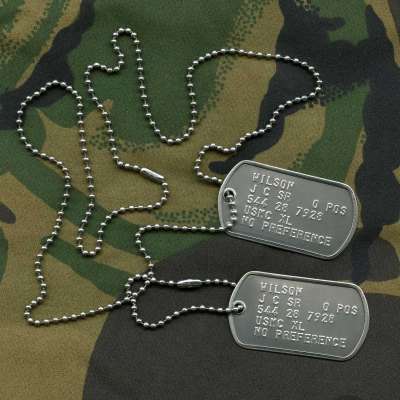 We offer accurate replica US Army stainless steel dog tags, or you can choose from a range of specialised tags, including black Special Forces, notched steel, brass, copper, coloured anodised aluminium or even gold plated tags. Visit our tag catalogue page to see the full Graphotype™ range. 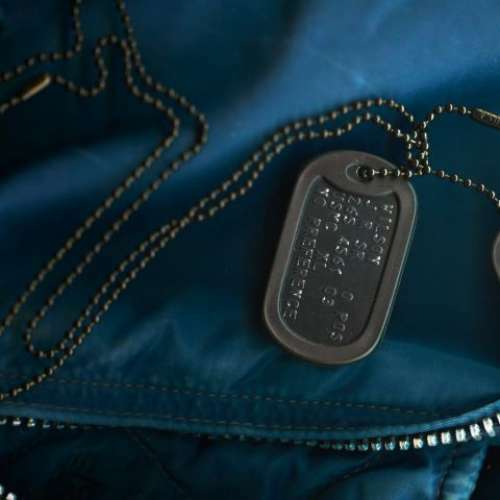 These solid sterling silver army dog tags are the finest dog tag jewellery available with beautiful silver and completely customisable text. 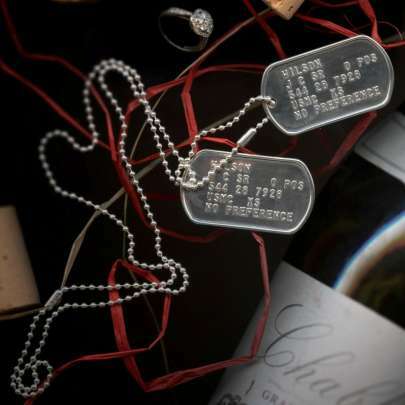 Dog tags make the perfect gift, being personalised, wearable and of enduring quality. Choose our high quality steel presentation case with custom foam insert to present the tags in their best light and make them easier to wrap up and store. You can add the presentation case either by ticking the option in our tag builder or as you checkout. 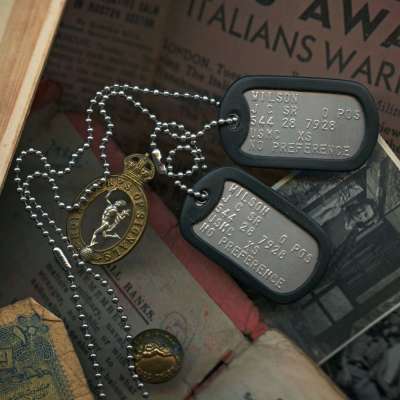 For those looking for exact replica military dog tags we have our US Military tags, British circular dog tags as well as the WW2 notched style tags. 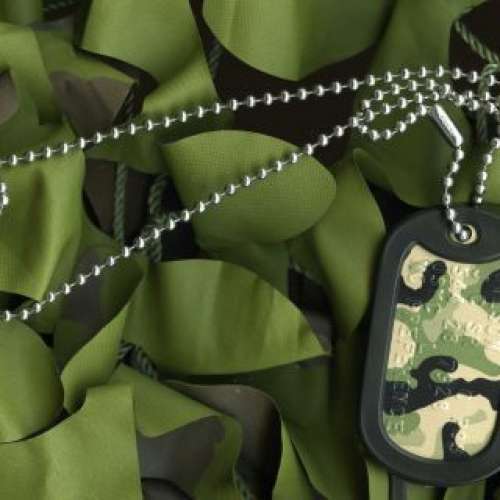 All feature the highest quality military grade stainless steel tags and chains sourced from US government approved vendors. 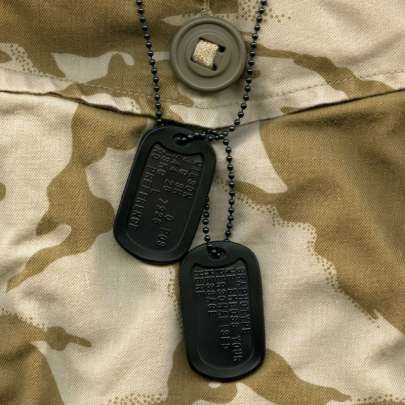 Using our dog tag builder page you can choose from a wide range of speciality tags, including black Special Forces and black DLC coated, brass, copper, coloured anodised aluminium or even gold plated or solid silver tags. 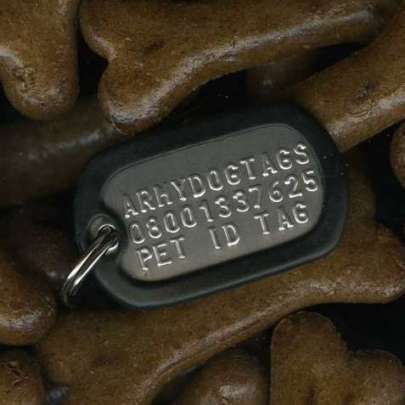 Visit our tag catalogue page to see the full Graphotype™ range. 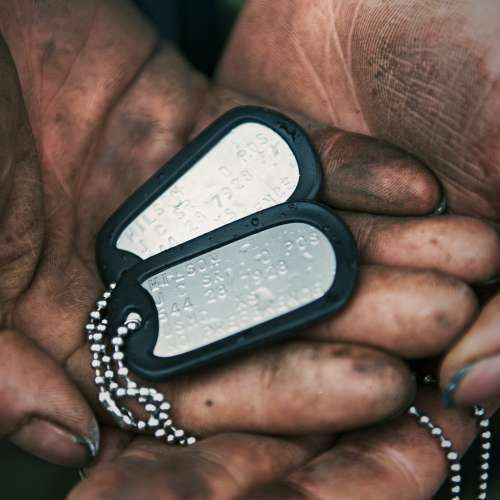 You name it, we've done it with dog tags! 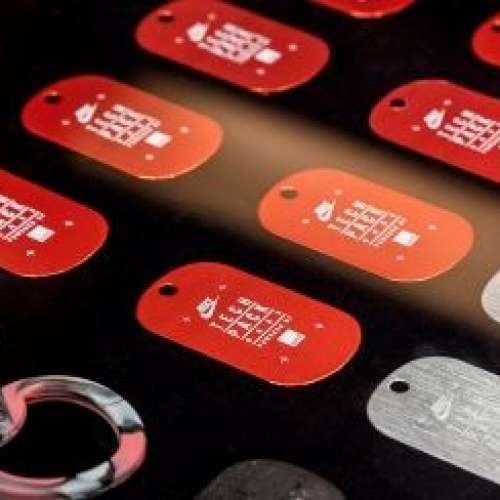 Their uses are endless: to promote a brand, commemorate an event such as a stag or hen night, as medical ID, event souvenirs / tickets, child ID tags, fancy dress, luggage labels, a special message, online gamer ... or even as pet tags for dogs! 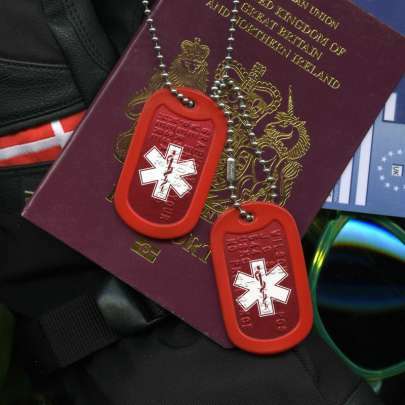 If you're planning to use your tags as medical ID we offer a special red dog tag with the internationally recognised star of life symbol on them. 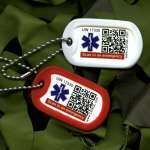 You can also choose the option to add the iceQR QR code which allows anyone with a smartphone or tablet to scan your tags and access your medical or emergency contact details. We are the sole approved supplier to the ACU, the governing body for motorcycle sport throughout the UK. 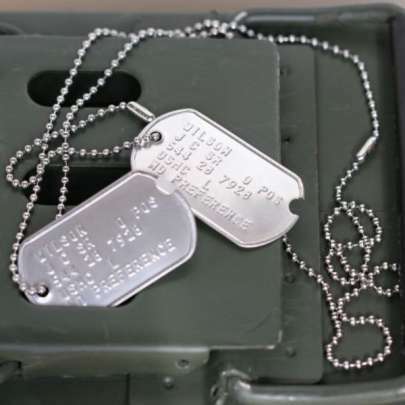 Competitors can source the dog tags they need through us safe in the knowledge that they will pass scrutineering come race day. 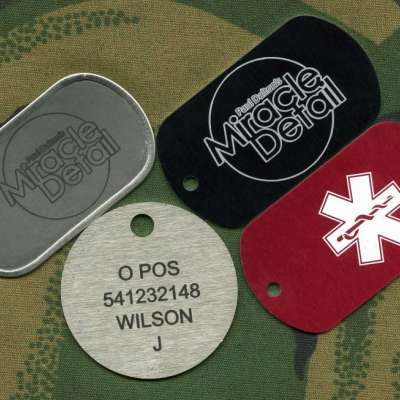 Our very close ties to the dog tag machine manufacturers allows us support and maintain our equipment to the highest standards. As a result we guarantee a quick and reliable turnaround even for very high volume orders. 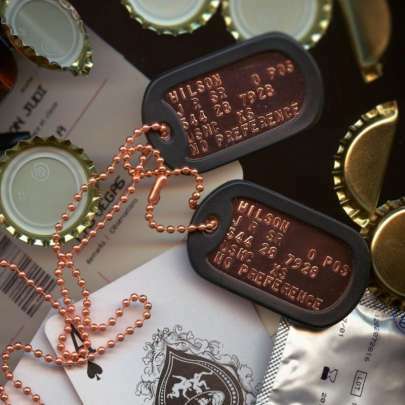 All of our embossed tags are produced using the latest GSA (US Government approved) high speed electric embossing machines and all of our supplies are of the highest quality and sourced exclusively from US Government approved vendors in the USA. 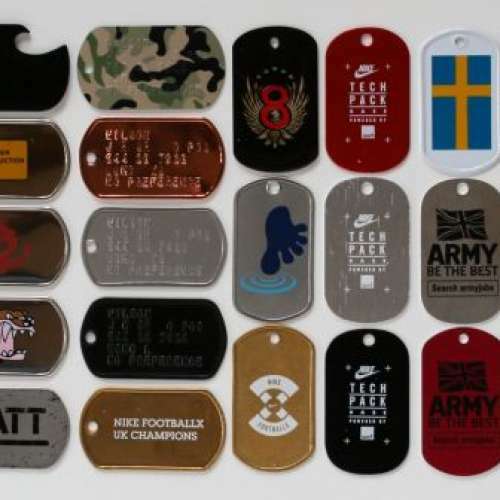 We've worked for some of the very biggest brands in the world producing promotional dog tags and attending events... see our promos and events pages for more details. If you don't see what you want here or have a special request for a bulk order then just ask by picking up the phone or drop us an email. We love a challenge and have satisfied many unusual requests in the past.